[SatNews] THOR 7 was successfully launched into space on Sunday April 26, 2015 at 20:00 UTC, from the Guiana Space Centre in French Guiana. On board an Ariane 5 launcher (Arianespace flight VA222), the THOR 7 satellite was successfully injected into geostationary transfer orbit approximately 28 minutes after lift-off. THOR 7, manufactured by Space Systems Loral (SSL), is Telenor Satellite Broadcasting's first growth satellite and also features its first high-throughput satellite (HTS) Ka-band payload, specifically designed for the mobility VSAT market to provide high-powered coverage over the North Sea, the Norwegian Sea, the Red Sea, the Baltic Sea, and the Mediterranean. "I am delighted to see that THOR 7 has safely reached geostationary transfer orbit and thank both Arianespace and our manufacturing partner SSL for this successful launch", said Morten Tengs, CEO, Telenor Satellite Broadcasting. "From its 1 degree West location, the THOR 7 satellite will provide growth capacity for DTH services across Central and Eastern Europe and deliver optimal satellite coverage across Europe's business shipping lanes for the provision of maritime VSAT services." THOR 7 will now undergo extensive in-orbit testing and will be ready to deliver DTH services in six weeks. 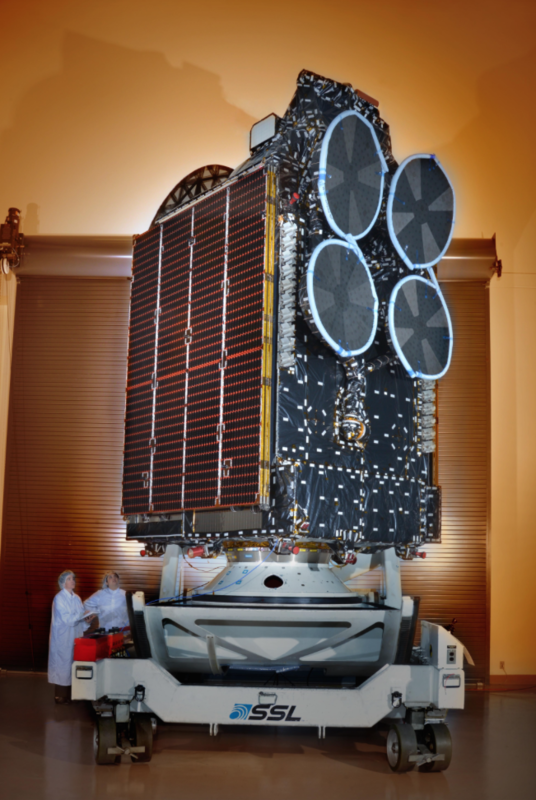 Additional testing will take place on the HTS Ka-band services with a full commercial service to be ready in Q4, 2015.